of your app’s user experience. 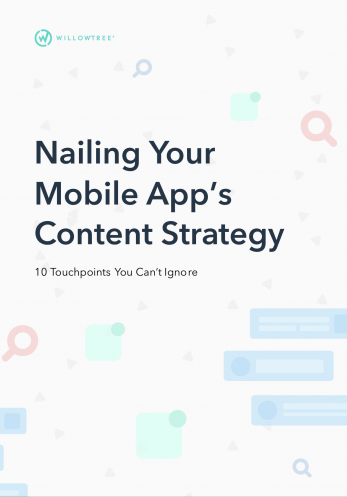 Download our eBook, Nailing Your App’s Content Strategy, for free today and gain immediate insights into optimizing your content across key user touchpoints in your mobile app. Melanie Seibert - Senior Content Strategist at WillowTree, Inc.
Melanie serves as the Senior Content Strategist at WillowTree, where she specializes in planning, creating, and managing useful, delightful content for mobile apps, websites, and chatbots for Fortune 500 clients.